Whew, what a weekend! Our Munchkin Guest Artist Edition Celebration day was a success, and we have you folks to thank for that! 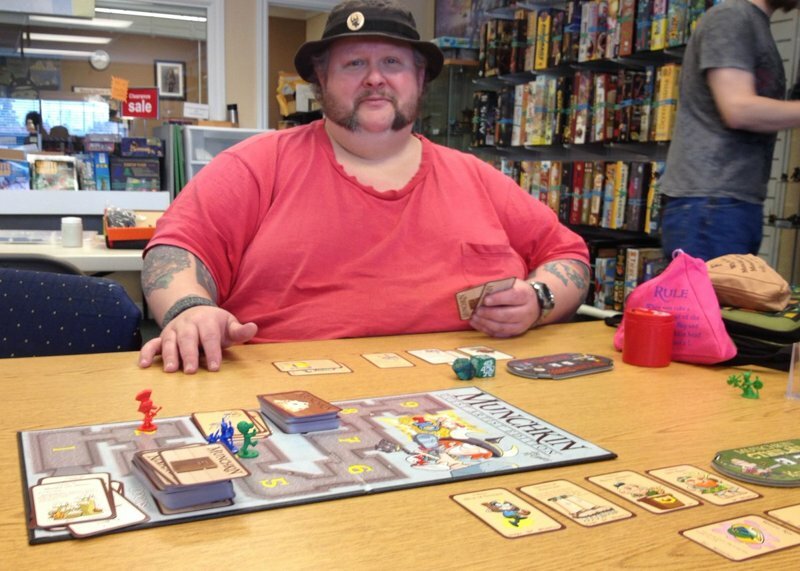 Gamers are sharing pictures playing Munchkin Guest Artist Edition at their friendly local game stores this weekend, and getting some sweet promo loot. Our own live stream event from Wonko's Toys and Games was a ton of fun, thanks to some superfans and the gracious shopkeeps. There was a 6 person tie at Level 9, a come from behind winner, and a signed copy of Guest Artist Edition given away to the winner! You can find the archived recording on our YouTube channel. You still have a little more time to enter our Guest Artist Edition contest as well! Post a picture playing Munchkin Guest Artist Edition at your FLGS during the Celebration on Instagram, Facebook, or Twitter with the hashtag #PlayMunchkin to enter. We'll randomly select winners to get a copy of the game! And remember, you can still get Munchkin Guest Artist Edition, but it is limited edition, so get it while you still can. Thanks for making this a celebration to remember!